Our appliances utilize the oxidation effect of ozone to eliminate the possibility of any infection from microorganisms, pathogens, toxins, pests or insects. From small areas to industrial-scale facilities, harmful organisms have no place to hide. This appliance is designed for smaller rooms with 200 m³, such as small storage rooms, containers, residential spas etc. Central control unit: microprocessor, control display, time programs, programmable operation cycle, coded error message, service information. Electrical protection: short circuit protection, heat protection, emergency power off, current drain and heat monitoring by the central control unit, electric shock protection certificate, CE. Accessories: digital gauge measuring ozone concentration independent from the apparatus (with alarm signal and PC RS-232 output), pipe branch for reducing outflow . 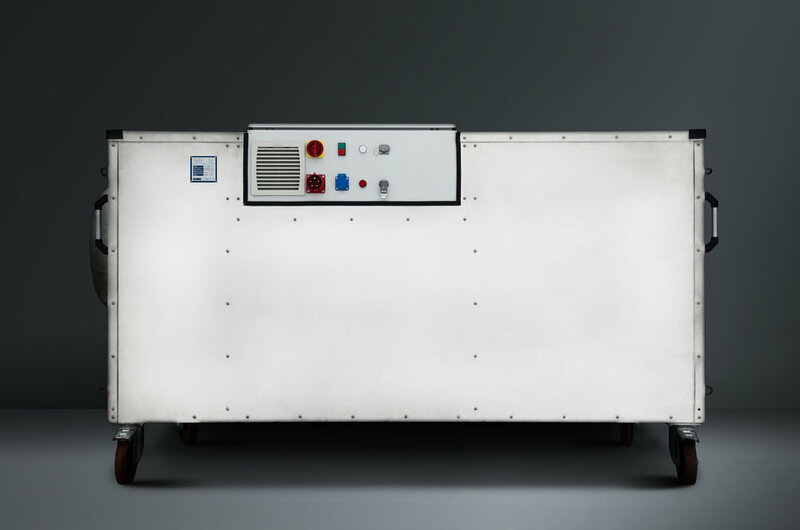 This appliance is suggested to be used in premises up to 500 m³ , such as storages, industrial premises, etc. Perfect for big premises up to 1500 m³, like silos in agriculture or food industrial rooms. Especially designed for large spaces even with 5000 m³, such as industrial premises, silos, storage facilities, etc. It is capable of perfect sterilization by eliminating all microorganisms via oxidation. FOR MORE INFORMATION AND DETAILS PLEASE CONTACT US DIRECTLY, AS YOUR PARTNER, WE ARE ALWAYS AT YOUR SERVICE!